Sunrun Archives - Solar Love! Home Tags Posts tagged with "Sunrun"
The United States’ largest dedicated residential solar company announced this week that it is expanding its home solar service into the state of Wisconsin, which represents the first time a national residential solar company is serving the Midwest. I like making note of these residential solar company expansions because it shows a continuing and inexorable growth of an industry which is going to be very important in the necessary low-carbon transition we are in the middle of. Further, it’s good to raise awareness of which US states now have the option to get residential solar from an industry leader. Sunrun is definitely not the biggest residential solar provider in the US — a title that goes to solar behemoths like SolarCity, which deals in residential, utility, and industry solar projects as well. However, Sunrun is nevertheless a leading residential solar provider in the US, and its move into Wisconson is good news for the Midwest, as it is the first expansion into the region. By the end of 2016, Sunrun had deployed a cumulative total of 879 megawatts (MW) of solar across the US, and boasts nearly 135,000 homeowners with solar. Now, Wisconsin residents in Dodge, Fond du Lac, Jefferson, Kenosha, Milwaukee, Ozaukee, Racine, Rock, Sheboygan, Walworth, Waukesha, and Washington counties (to name just a few) can have the opportunity to go solar. The largest dedicated residential solar company in the United States, Sunrun, has partnered with international utility National Grid in a “multifaceted partnership” which includes a $100 million investment towards owning 200 megawatts of residential solar assets. As of writing, we know that the partnership between the two companies involves a joint marketing agreement, a collaborative grid service pilot, and a partnership to own approximately 200 megawatts (MW) of residential solar assets across all of Sunrun’s current markets, to which National Grid has committed $100 million in equity. The underlying goal of the partnership is “accelerating the adoption of rooftop solar in a cost-effective, highly scalable way,” and is initially targeting approximately 100,000 single family homes in National Grid’s downstate New York service area. “This exciting partnership with Sunrun provides an opportunity for National Grid to increase our capability in the distributed energy space, and enhance our ability to meet the changing energy needs of our customers and communities,” said John Flynn, SVP of Strategy and Business Development at National Grid. Solar power advocates and utility companies are on a collision course in many states. Usually, the issue is net metering charges which pay small solar providers for the excess electricity they put back into the grid. Utility companies want to pay people as little as possible. People with home solar installations want to be paid as much as possible to help offset the cost of their systems. These top 10 lists are a little peculiar sometimes because one might conclude that they are objective. However, while they can appear to be that way, they are usually more subjective, based in assessments conducted by particular websites or publications. Depending on which criteria are used, their results might not be what you need or want. So, in order to determine which solar installer might work for you, it could be helpful to compare lists of top solar panel installers. To that end, let’s look at a list (from GTM Research) which placed SolarCity, Vivint Solar, Sungevity, Sunrun, and Verengo Solar in the top five. According to this source, they made the top five because they installed the largest percentages of rooftop solar power systems — half or more of all solar panels in the US for the year 2014. SolarCity had 34% of installations, Vivint Solar had 13%, Sungevity with 3%, Sunrun with 2%, and Verengo Solar with the same as Sunrun. However, SolarCity has a leasing- and PPA-focused model. With leases and (power purchase agreements) PPAs, SolarCity owns the solar power systems, and the homeowners get some portion of the electricity. If you want to own our home solar power system, they also can make arrangements for that, but it is a small part of the company’s business and apparently not the most attractive option for home solar loans. Also, SolarCity’s prices are reportedly much higher than the competition’s. Vivint Solar has a similar service, but they just offer PPAs where they own the home solar power system, and the homeowner agrees to pay for electricity generated by it and a certain rate for a specified period of time. The reason that SolarCity and Vivint have installed so many more solar panels is that their services typically have low or no upfront costs. This kind of service is much cheaper initially compared with the cost of installing a home solar power system that a homeowner will own and maintain. It is only reasonable that cost-constrained homeowners who are trying solar power for the first time might want to choose a system that is very low or no upfront cost, rather than paying over $10,000 or more for their own home solar system, or applying for a loan for one. So, yes, SolarCity and Vivint are top installers of solar panels, but they own those systems once they have been installed. The technology is the same, but the relationship with the homeowner is different. Also, if you own your own home solar power system, you have control over it and you actually could make money in the long-term. So, the fact that SolarCity and Vivint have installed far more solar panels than their competitors might make them see far and away the best, but one of the reasons they are so far ahead is the greater affordability of leasing or PPAs—not necessarily because they are superior installers or offer a much better product. Their installations and products may (or may not) be very good, but that’s not really the point. SolarCity and Vivint Solar have also seemingly had more effective marketing and financing arrangements. The installers lower on the list may offer the same quality of installation and products, but they may have been less popular because they don’t offering leasing or PPA. Alternatively, they may be focused on smaller markets. This consideration is something to keep in mind when researching solar power options for you home. In other words, popularity may sway some people’s decision-making in a direction that isn’t beneficial. Leasing might appeal to many, but when you lease, you typically don’t own the system, and you generally give away some of the potential financial benefit. If you are energy-conscious and own your system you might generate more electricity than you consume, which you could sell back to the utility, if net metering is available where you live. Also, if you own your own home solar system, you will probably be eligible to receive some incentives, so the net price of that system will be reduced for you. Of course, it matters very much that you understand the difference between owning your own home solar power system, leasing, and signing a power purchase agreement. 1. SolarCity is located in San Mateo, California, and has about 10,000 employees. It installs solar power systems, but the homeowners often don’t own them — they lease them (or buy the electricity from them) from SolarCity, presumably for a lower price than they’d buy electricity from the grid. It makes sense that SolarCity is a leader, because its customers have very little in upfront costs and the company had a lot of financial support to grow quickly and establish strong relationships with bankers & financiers. This company is well known for its association with Elon Musk, chairman of the company and cousin to founders & CEO + CTO Lyndon Rive & Peter Rive. SolarCity operates in: Arizona, California, Colorado, Connecticut, Delaware, Hawaii, Maryland, Massachusetts, New Hampshire, Nevada, New Hampshire, New Jersey, New Mexico, New York, Oregon, Pennsylvania, Rhode Island, Texas, Vermont, and Washington DC. 2. Vivint Solar is located in Lehi, Utah, and it has a similar kind of service provided by SolarCity, except that it typically uses power purchase agreements (which SolarCity sometimes uses) instead of leasing. Also, it goes door to door to get customers, and its larger parent company sells various other home products, like alarm systems. Vivint has about 3,200 employees and has installed 228 MW of solar panels. Vivint Solar currently operates in: Arizona, California, Connecticut, Hawaii, Maryland, Massachusetts, New Jersey, New Mexico, New York, Pennsylvania, South Carolina, Utah, and Washington DC. 3. Sunnova is located in Houston, TX. This company offers the ability for a homeowner to own his or her own system, sign a power purchase agreement, or get a solar lease. Sunnova operates in Arizona, California, Colorado, Connecticut, Delaware, Hawaii, Indiana, Louisiana, Maryland, Massachusetts, Missouri, New Jersey, New Mexico, New York, Oregon, and Pennsylvania. 4. RGS Energy (Real Solar Goods) is located in Louisville, Colorado. It offers solar leases, service agreements, and home solar systems for purchase. It operates in California, Colorado, Connecticut, Hawaii, Maryland, Massachusetts, New Hampshire, New Jersey, New York, Rhode Island, and Vermont. 5. Solar Universe is located in Livermore, California. It offers $0-down solar financing when installing home solar systems, or fully prepaid solar contracts. It operates in Arizona, California, Hawaii, Louisiana, Maryland, Massachusetts, Nevada, New Jersey, New York, Oregon, Pennsylvania, and Puerto Rico. 6. Bland Solar & Air is based in Bakersfield, California. It installs solar power systems, but has expertise with air conditioning as well. It recommends using the nonprofit Educational Employees Credit Union for financing (getting a loan) if one isn’t able to or doesn’t want to self-finance the project. “Educational Employees Credit Union offers a number of Energy Efficiency Loan choices, including a $0 down payment option,” the company writes. 7. Amergy Energy is a New Jersey–based company. It installs, finances, and leases solar power systems for homes, businesses, and nonprofit organizations. It operates in California, Massachusetts, New Jersey, and New York. 8. Smart Energy Solar is located in Corona, California. It has installed thousands of solar systems, including solar PV, solar hot water heaters, and solar pool heating. 9. KDH Solar is located in New Orleans, Louisiana. It installs both residential and commercial systems. 10. Direct Energy Solar is located in Annapolis, Junction. It is focused on residential solar power systems. Another consideration when choosing a solar power installer is what role they play in your community. Some consumers like to support local businesses and others don’t care. Some also like to support local people they know or their family or friends have some connection with, because the business transaction is more personal in nature. Others don’t care about the personal side, and only want affordability and quality service. Yet another point to reflect on is whether or not a top 10 list means much to you, because it might hit some of the generic points, but ultimately your decision is your own, and you need to have some sense that it is the right decision, not merely the result of having found some information. If your local solar panel installer is not on any top 10 lists, they may still be very effective and you would determine that by researching them carefully. You can see from the GTM Research ranking above that about 50% of the solar power installed on rooftops is installed by a company with less than 2% market share. We encourage people to get as many solar quotes as possible (they’re always free): from Cost of Solar, Pick My Solar, EnergySage, Google’s Project Sunroof, and anyone else you can find. Also, some people don’t even choose a solar panel installer, because they have a DIY mentality and they install their own solar panel systems. These people are currently in the minority, but that may change over time if installing systems becomes easy enough. We are still in the infancy of solar power in the US, with just over 1% of our total electricity generated by it. Things will change as it grows, including the “technical” knowledge of everyday people. When you ask who the top solar power companies are, you will probably want to distinguish between residential installers and solar panel manufacturers. Solar power generally is thought of as home solar power, though utilities and businesses also are investing in it. This article looks at the top residential solar contractors / residential solar installers as well as the top American solar panel manufacturers. 3. Sunrun was one of the first companies to offer solar leasing, but it also offers systems via loans and cash purchases now. It is based in California, but is now working in the following states: Arizona, California, Colorado, Connecticut, Delaware, Hawaii, Maryland, Massachusetts, New Hampshire, New Jersey, New York, Oregon, Pennsylvania, and South Carolina. 4. NRG Home Solar is a subsidiary of energy giant NRG. Like the companies above, its main pitch is $0-down solar leasing. It doesn’t yet seem to offer solar loans like the other companies above. In a market that is shifting back toward straight purchases and loans, it seems NRG Home Solar will have to broaden its offering in order to remain competitive for long. NRG Home Solar operates in: California, Connecticut, Maryland, Massachusetts, Minnesota, New Jersey, New York, and Texas. 5. Sungevity, based in Oakland, California, also has a long history in solar leasing, but it offers solar power installations via solar loans and cash purchases as well. Sungevity CEO Andrew Birch has said the company was agnostic regarding financing, agreed the shift is going back toward system purchases, and is typically keen to highlight Sungevity’s competitive advantages from its iQuote system, which provides a solar power quote using satellite technology quickly and remotely, and “also provides customers with dedicated project managers so that they don’t have to go through any automated customer support or deal with different people (who need to be caught up on their project) every time they call or email.” Sungevity operates in: California, Colorado, Connecticut, Delaware, Maryland, Massachusetts, New Mexico, New Jersey, New York, North Carolina, Rhode Island, Vermont, and Washington DC. Solar panel installers typically don’t make their own solar panels, they install panels made by manufacturers. SolarCity is going to be making its own solar panels and installing whole systems, so it is the exception. Is there any advantage to a solar panel installer making its own technology? It might be that there could be better communication about the solar panels with the installers, if it comes from within the same company. It also might be easier to get defective panels replaced if there is better communication, rather than one company trying to communicate with another. Additionally, vertical integration like this could bring down costs. The downside would be if these in-house solar panels ended up being more expensive and the company was tied to using them. Also, if the installer makes solar panels in the same country, communication may be enhanced because there is no cross-culture or cross-language issues. However, because of globalization, international business is common now, so cross-cultural situations might not be an issue. Another consideration is that some consumers like to support companies based in their own countries. In this case, an American home or business owner who wants to invest in solar power might consider working with a company like SolarCity, or try to locate solar panels made in America by a company like SunPower. Obviously, solar panels need to be manufactured before they can be installed, and fortunately, a number of American companies make them. 1. First Solar has its headquarters in Tempe, Arizona, and has solar panel manufacturing sites in the US, Germany, and Malaysia. 2. SunPower has its headquarters in San Jose, California, and manufactures panels in the US and the Philippines. 3. SolarWorld has its US headquarters near Portland (it is originally a German company) and most of its manufacturing is done in Germany. 4. SolarCity is based in San Mateo, California, and it is working to build a very large solar panel manufacturing site in New York state. 5. Suniva has its headquarters in Atlanta, Georgia, and manufacturing sites in Michigan and Georgia. It was founded in 2007. While it is important to know the names of these companies, their locations, and what they provide, there is something of equal importance that doesn’t get talked about enough, or at all. These solar power companies are accomplishing something important for the country—they are helping the United States very gradually shift away from fossil fuel use to clean, renewable energy. There are a raft of benefits linked with solar power: it’s better for climate change, reduces harmful air pollution, and is better for the national economy because it reduces reliance on imported fossil fuels. Eventually, all coal mining and burning might also be eliminated, and coal mining clearly is very unhealthy for mine workers. Sometimes it is fatal. Making and installing solar panels is relatively safe, so it is better for American workers. Solar power creates a lot of jobs, and more solar jobs are expected to be added in the US in 2016 than oil-related jobs. The solar power trend is taking off and it is has never been more affordable. Though, many of us may not be aware of how much solar power prices have fallen. American solar power companies have accomplished a lot so far, and yet they are poised to do much more. At the same time, they seem to have been given almost no credit for their achievements. Currently, the US gets less than 2% of its electricity from solar power, but that figure is set to increase as solar companies continue to install more and more of it. Also, the costs are dropping, so solar power is becoming more accessible all the time. Additionally, the costs will most likely continue to decrease and demand will likely grow. So, solar power is going to be a bigger part of the American energy future. According to a report from Mercom Capital Group, the amount of global corporate funding in the solar sector in 2015 was $25.3 billion. This figure was down slightly from $26.5 billion in 2014. Some of funding sources were: debt financing, public market financing, yieldcos, and venture capital/private equity (VC). “Overall it was a good year for the solar sector considering the turbulence in the stock markets and trouble with yieldcos in the 2nd half of the year. The extension of the Investment Tax Credit (ITC) was a much needed boost for the sector, paving the way for a strong 2016,” explained Raj Prabhu, CEO of Mercom Capital Group. So where did the money go? Debt financing was linked with $18.3 billion and Solar City, AES, BBOXX, and Sunrun are examples of companies with securitization deals. Large-scale project funding accounted for about $11.6 billion and 6.6 GW of solar power capacity. There were 38 public market financing deals and they raised almost $6 billion. $727 million of the $1 billion raised by venture capital went to solar downstream companies. Over $170 million went to PV technology companies and $87 million went to “Balance of Systems” companies. One of the more fascinating developments was that over $100 million was for off-grid markets in India, Africa, and South Asia. The facts produced by the report are intriguing because they show that the solar power industry is doing well, though economic conditions are still challenging overall. Imagine if there had been no global recession in 2008 and for the last 8 years solar power had been able to grow in an unimpeded way. The Investment Tax Credit was recently renewed in the United States, but if there had been no concern or uncertainty about its renewal, would the solar power industry have experienced no cause for pause? It seems that solar power will continue to expand because of its own robustness and as the global economy becomes more welcoming to it. Due to a new agreement, Hanwha Q Cells will provide up to 135 MW of its solar modules to Sunrun in 2016. The agreement that was signed previously was for quite a bit less, but Sunrun apparently wanted much more for the coming months. The modules from Hanwha will be produced in South Korea and Malaysia. “We are pleased to have access to a steady supply of high quality modules from an industry leader like Hanwha Q CELLS. Sunrun is committed to providing simple, affordable solar to homeowners and creating a great customer experience. This agreement will enable us to continue doing so in the coming year,” explained Paul Winnowski, Sunrun’s CEO. In November of 2015, it was reported that Sunrun had acquired over 100,000 customers, so it appears that the company is doing quite well. If that wasn’t impressive enough, the company was also working on growing its warehouse space by adding 7 new locations. Sunrun was founded in 2007 and offers solar power as a service, which many customers like because the solar panel operation is taken care of and the provider handles the tax credits and presumably passes them on to the customer. Customers also have the option of choosing a system with no or very little upfront cost. This is attractive to some because they don’t have the funds to spend on installing their own home solar power system, and can’t easily get a loan. It will be very interesting to see what happens with solar as service, because the cost of a home solar power system has been decreasing steadily to the point where more and more homeowners may actually have the money to buy their own systems outright. If solar panels drop in price another 40% over the next few years, the cost of a home solar power system would obviously be even more feasible. On the other hand, there are many people who place a priority on convenience and Sunrun handles the details that some don’t want to manage. Over the past several years, Nevada has become one of the leading US states for new rooftop solar installations, but it looks like things have come to a screeching halt. Rooftop solar fans in Nevada got a huge honking lump of coal in their Christmas stockings just last Tuesday, when the state’s Public Utilities Commission voted to increase the charges — and lower the compensation — for rooftop solar installations. How bad is the hurt? As cited by the news and market research firm Greentech Media, the national solar advocacy organization TASC (The Alliance for Solar Choice) estimates that most rooftop solar customers are looking at a monthly surcharge of $40.00, while the savings from their installation only ranges from $11.00 to $15.00. Quite simply, the math doesn’t give solar fans any good financial reason to install rooftop solar. TASC’s figure is apparently based on PUC’s own numbers. In a December 21 press release, the agency explained that the new rate structure is intended to require rooftop solar customers to pay their share of fixed costs for the utility NV Energy, which it estimates at $623 annually per residential customer in the southern part of the state and $471 annually in the north. However the numbers shake out, we’re thinking that the real problem isn’t that the new rate structure will discourage new rooftop solar customers in Nevada. The real problem is that PUC also intends to apply the new structure retroactively, to existing customers. As far as we can tell, that’s never been done before in any state. If the decision holds up, it will have national implications. In other words, the PUC decision is not just about the Nevada solar industry. Because of the unusually onerous, backward-grabbing nature of the new rate structure, we’re thinking that it is also meant to undermine the entire US rooftop solar industry. The Nevada decision sends this signal to both existing and potential rooftop solar customers in all 50 states: solar deals may look great up front, but you’re going to be left holding the bag sooner or later. Our friends over at Politico.com are also looking at the Nevada decision through a national lens. Harry Reid’s home state dealt a lethal blow Tuesday to rooftop solar power — the latest skirmish of a nationwide green energy battle that has pitted the Senate Democratic leader against his favorite target, the Koch brothers. Politico also notes that at least one Koch-backed advocacy organization, the American Energy Alliance (these guys) applauded the Nevada decision as a matter of national policy. Politico is not the only place where you can find Nevada Governor Brian Sandoval slotted into the Koch-supported category, the main point being that while the Nevada PUC decision has been mainly portrayed as a state-level fight, the bigger battle is between fossil fuels and renewable energy. Here’s where it gets interesting. The leading solar installer SolarCity made headlines back in November when it pulled out of TASC. The organization has been lobbying fiercely in support of rooftop solar in Nevada and it would seem that its messaging has been undermined by SolarCity’s decision to strike out on its own. Whatever the initial effect, we’re thinking that SolarCity’s move has actually helped TASC by creating an opportunity for ramping up public awareness of the overall benefits of rooftop solar, meaning significant economic activity statewide as well as the (now-evaporated) opportunity for individual property owners to save money on their electricity bills. SolarCity has created more than 2,000 new jobs in Nevada 0ver the past two years, and just a few weeks ago, on November 30, it announced the creation of a new solar training center, its fifth such facility in Nevada since 2013. The PUC has protected NV Energy’s monopoly, and everyone else will lose. We have no alternative but to cease Nevada sales and installations, but we will fight this flawed decision on behalf of our Nevada customers and employees. Ouch! That’s horrible news for 2,000 Nevadans right there. In a similar situation in Wisconsin, the Commission acted without evidence and attempted to eliminate the solar industry. TASC sued and TASC won, and TASC expects to do the same here. Between the legal tactics of Sunrun/TASC and SolarCity’s gut-punch decision to stop operating in the state, it looks like the Nevada PUC is in for an interesting year. If SolarCity’s take-my-ball-and-going-home decision seems somewhat abrupt, consider the Tesla connection. For those of you new to the topic, the now-legendary Tesla Motors, Inc., and SolarCity have one important person in common — that being tech entrepreneur Elon Musk. SolarCity received an open-armed welcome from Nevada Governor Brian Sandoval to open and expand its operations in 2013, which probably had something to do with the Governor’s efforts to woo Tesla into the state, too. In that context, the PUC decision looks like a stab in the back for SolarCity and by extension Mr. Musk. It’s hard to imagine that Musk could pull the plug on Tesla’s massive “gigafactory,” which is supposed to be powered by solar panels and wind turbines, but it’ll be interesting to see how Elon and Tesla respond. Canadian Solar and Sunrun have signed an agreement that Canadian Solar will supply 112 MW of solar panels to Sunrun in 2016. 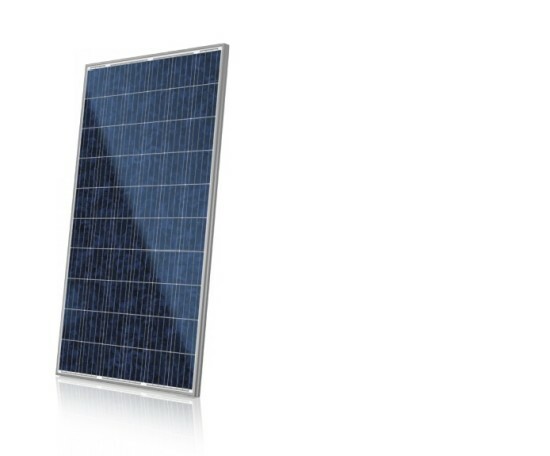 They will be CS6P-260|265P panels, which are 260 or 265 watts, with a module efficiency up to 16.47%. They also have a product warranty of 10 years and a linear power output warranty of 25 years. “We are pleased to be working with an industry leader like Canadian Solar to ensure our customers have a great customer experience and access to high quality modules for their home solar systems. As North America’s largest module manufacturer, Canadian Solar believes wholeheartedly in our corporate mission of making a difference in the lives of others through solar. Together with Sunrun, this joint collaboration will help allow us to reach new solar users and spread the word about the incredible power of solar energy,” explained Dr. Shawn Qu, Chairman and Chief Executive Officer of Canadian Solar. The number of panels to be delivered is over 43,000, which seems much more than when you first read the 112 MW figure. So, what is the huge purchase of solar panels for? There doesn’t appear to be any indication specifically about what they will be used for, but it’s easy enough to imagine why — increasing demand for Sunrun’s rooftop solar systems. “Supporting its growth on into the future, Sunrun is also expanding its supply chain, announcing that it is adding 7 new warehouses in a very short 4-week period. I’m sure it feels shorter for them as I recently supported a major supply chain upgrade and it requires close coordination across many functions — especially on a timeline like this. Specifically, Sunrun is adding warehouses in Baltimore, MD; Bakersfield, CA; Marlton, NJ; Hartford, CT; Somerset and Stockton, CA… and one more yet to be announced,” wrote a Solar Love author, Kyle Field. In fact, Sunrun has had over 100,000 solar power customers — it would be reasonable to assume they need more space to store solar panels that will be moved quickly to customer rooftops. Sunrun was only founded in 2007, so getting to a level with over 100,000 customers is very impressive, but for some reason, you probably won’t see any reporting about this achievement in the mainstream media. Canadian Solar, one of the largest solar power companies in the world, has shipped over 12 GW of solar panels — this too is a great achievement you won’t hear about on the nightly news. In a series of recent updates, Sunrun announced more evidence that it is expanding — and rapidly. 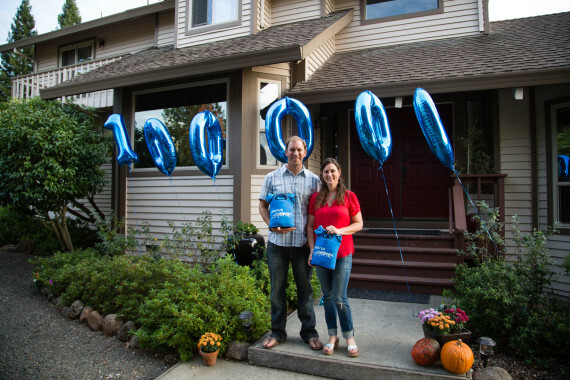 In a press release and corresponding blog post for its customers, Sunrun excitedly shared that it hit a milestone 100,000 residential installations. I’m excited to be a part of its customer base that is “Creating a Planet run by the Sun” via my solar installation, which was done by Sunrun acquisition REC Solar (the installer, not the PV panel maker), and I have enjoyed having their system operate flawlessly since installation in 2011. Check out the video announcing the great news embedded at the bottom of this post. Supporting its growth on into the future, Sunrun is also expanding its supply chain, announcing that it is adding 7 new warehouses in a very short 4-week period. I’m sure it feels shorter for them as I recently supported a major supply chain upgrade and it requires close coordination across many functions — especially on a timeline like this. Specifically, Sunrun is adding warehouses in Baltimore, MD; Bakersfield, CA; Marlton, NJ; Hartford, CT; Somerset and Stockton, CA… and one more yet to be announced. What’s fun about the way Sunrun is upgrading is that it is blogging the experience of what it is calling its “Build Bonanza.” It’s a great way to keep current customers and future customers engaged in the work they’re doing and to be a part of SunRun’s exciting growth.